IIFL Wealth Mumbai International Chess Tournament 2018 organised by the Indian Chess School and the India Chess Federation in Cuffe Parade, Mumbai, India betwee December 30th 2018 and January 7th 2019. Watch the games of the IIFL Wealth Mumbai International Chess Tournament 2018 - 2019 - GM; Open, U13 with computer analysis LIVE on ChessBomb. The King Salman FIDE World Rapid Championship - Open and Women will be held in St. Petersburg, Russia from 28th to 29th December. It is 21 round swiss tournament with a prize fund of $350,000. Time control is 3+2. In a case of a tie there will be a blitz playoff between the 1st two players. 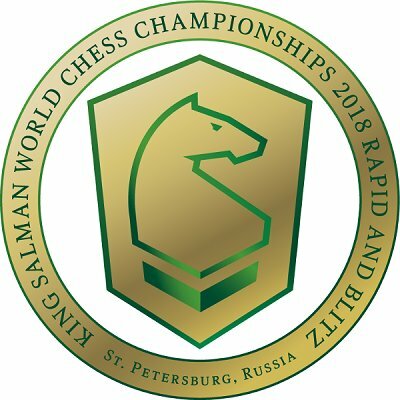 Watch the games of the The King Salman FIDE World Rapid Championship - Open and Women with computer analysis LIVE on ChessBomb. The 93rd Hastings Masters is a 10 round Swiss tournament held in Hastings, UK from 28th December 2018 to 6th January 2019. GM Oleg Korneev - Russian who represents Spain has had first-place finishes in the Cappelle-la-Grande Open and the Chigorin Memorial in St Petersburg. The Lithunian top GM Sarunas Sulskis is a past winner of the Guernsey International. GM Lasha Janjghava has represented Georgia in 4 Olympiads. The Croatian GM Bogdan Lalic who participated in over two and a half thousand games and lost less than 6% is considerd for one of the most solid players on the tournament. The Russian GM Alexander Cherniaev finished 1st equal in the Oslo Chess Festival 2018 and in the Canadian Open 2018 in Quebec. Daniel Gormally represented England in the European Team and Olympiad tournaments. He has also finished in second place in the British Championship. GM Simon Williams won the British Blitz Championship and the London Chess Classic Open. GM Keith Arkell has won the European Senior Championship ad has been English Champion. Watch the games of the 93 Hastings Chess Masters 2018 with computer analysis LIVE on ChessBomb. The King Salman FIDE World Rapid Championship - Open and Women will be held in St. Petersburg, Russia from 26-28 December. They are 15 round swiss tournaments with a prize fund of $150,000. The time control is 15+10. In a case of a tie there will be a blitz playoff between the 1st two players. The Open features top players as Magnus Carlsen, Nakamura Hikaru, Artemiev Vladislav, Fedoseev Vladimir, Aronian Levon, Mamedyarov Shakhriyar, Wang Hao, Karjakin Sergey, Nepomniachtchi Ian, Harikrishna Pentala etc. In the Womens' competition take part Anna Muzychuk, Wenjun Ju , Tingjie Lei, Alexandra Kosteniuk, Kateryna Lagno, Nana Dzagnidze, Elisabeth Paehtz, Tatiana Kosintseva, Mariya Muzychuk, Dronavalli Harika etc. Daniil Dubov with an undefeated score of 11/15, won the World Rapid Championship in St. Petersburg. Ju Wenjun with 10/12 retained her world rapid title and earned $40,000. Congratulations! Watch the games of the King Salman FIDE World Rapid Championship - Open and Women with computer analysis on ChessBomb. Pan-American Intercollegiate Team Chess Championship 2018 is held between 2th and 30th December 2018. Team event, pairing is team vs. team, considering each team as individual entry. Time control: 6SS G/90 +30 increment. Watch the games of the Pan-American Intercollegiate Team Chess Championship 2018 with computer analysis LIVE on ChessBomb. The 8th Rilton Cup 2018 - 2019 is held in Stockholm, Sweden from 27 December 2018 to 5 January 2019. Watch the games of the Rilton Cup 2018 with computer analysis LIVE on ChessBomb. Watch the games of the Montebelluna Cup 2018 with computer analysis LIVE on ChessBomb. German Team Club Championships - Open u20, u16, u14, u12 and u10 and Girls u20, u 14 are 7 rounds swiss tournament held in Magdeburg from 27 till 30 December. Watch the games of the German Team Youth Championships - Open and Girls 2018 with computer analysis LIVE on ChessBomb. Australian Open 2018 is hosted by the Box Hill Chess Club at the Electra Community Centre, Ashwood, Victoria between 27th and 31st December 2018. Watch the games of the Australian Open 2018 with computer analysis LIVE on ChessBomb. The Zurich Christmas Open is a 7-round Swiss tournament held in Zurich, Switzerland from 26-30 December 2018. Watch the games of the Zurich Christmas Open 2018 with computer analysis LIVE on ChessBomb. The Lorca Open ("Festival Internacional de Ajedrez Ciudad de Lorca") is a 9-round Swiss tournament held in Lorca, Spain betweeen 26th and 30th December 2018. Watch the games of the Lorca Open 2018 with computer analysis LIVE on ChessBomb. The first "Binhai New Area Cup" Chess China Open is a 9-round Swiss tournament held in Tianjin, China from 25 December 2018 to 2 January 2019. 62 players from 12 countries and regions compete for a total prize of 326,000 yuan. The competition attracted the famous Indians Sesulaman, Ganguoli, the Mongolian player Bad Chulun and the female player Padmini who just won the Asian individual championship. The Chinese Chess Association participate with 47 players, including Lu Shanglei, Zhao Jun, Zeng Zhongsheng and other veterans who have been in the game for many years, as well as Zhu Jiner and Ning Kaiyu who have won the World Youth Championship. Watch the games of the Binhai Cup 2018 with computer analysis LIVE on ChessBomb. The 5th Sunway Sitges is a 10-round Swiss open tournament held in Sitges, Barcelona Spain from 14 th 23 December 2018. The main tournament that we are hosting is a 10-round Swiss Open Tournament (with 34 GMs) featuring GM Andreikin, GM Ivanchuk, GM Inarkiev, GM Sasikiran among other. There are also world number one players in their age group, like Praggnanandhaa, Nihal Sarin, Gukesh D or Raahil Mullick. Watch the games of the Sunway Sitges 2018 with computer analysis LIVE on ChessBomb. The 2018 Nutcracker tournament is held between 17th and 22nd December in the Botvinnik Central Chess Club in Moscow. The traditional Christmas Nutcracker tournament consists of two Scheveningen matches: Kings vs. Princes and Queens vs. Mastres like Gelfand, Leko, Short and Najer take on Paravyan, Sarana, Esipenko and Lomasov. Each player first plays a classical game against each member of the opposing team. They then play two rapid games against each opposing player. The classical games are worth double - 2 points for a win and 1 point for a draw. Watch the games of the 2018 Nutcracker tournament with computer analysis LIVE on ChessBomb. The 56th edition of the Schaakfestival Groningen is held betwee December 22nd and 30th 2018 Groningen, Netherlands. Watch the games of the Chess Festival Groningen 2018 with computer analysis LIVE on ChessBomb. Termo-Eko Cup 2018 is held in Riga, Hotel TIA between 21st and 2th December 2018.This thirteenth cup has brought together 66 members from seven countries. The main rating favorite is Latvian Grand Master Nikita Meškov (2542), who won last year as well as GM Ilmārs Starostitė (2458), IM Sergejs Grišenko (Russia, 2431), IM Vitaly Samolins (2424), IM Rolands Bērziņš (2409), Arturs Bernotas (2403) and GM Yuri Tihonov (Belarus, 2399). The time control is 90 min. + 30 seconds increment. Watch the games of the Termo-Eko Cup 2018 with computer analysis LIVE on ChessBomb. Bhopal GM International 2018 is organised by the DSYW Govt of MP, Academy of Chess Education & MPCA Federation India and is held in Hotel Kanta Shrawan Palace, Bhopal, Madhya Pradesh, India between 21st and 28th of December 2018. The tournament features players as Aleksandrov Aleksej (BLR 2590); Tran Tuan Minh (VIE 2524); Movsziszian Karen (ARM 2505); Deviatkin Andrei (RUS 2464) etc. Watch the games of the Bhopal GM International 2018 with computer analysis LIVE on ChessBomb. The Final Phase of the 11th Pan-Hellenic Youth Championship for 2017 to be held from 18 to 21 December 2017 in Thessaloniki in a room of the hotel "FILIPPION" with co-organizer of the Cultural Athletic Football Club "Keravnos" Oreokastro. 20 theams all over the world are compeating. Watch the games of the Greek Youth Team Championship 2018 with computer analysis LIVE on ChessBomb. For more information about US Chess, a 501(c)3 non-profit organization, please visit www.uschess.org. Photos: GM Leinier Dominguez at the 2018 Champions Showdown in Saint Louis. Courtesy of the Saint Louis Chess Club, photo by Lennart Ootes. The 17th Asian Continental Chess Championship (Open and Women's Championships) is held between December 9th and 19th, 2018 in Makati City, Phillipines. The tournament shall be conducted as a Swiss System competition of 9 rounds and will be played according to FIDE regulations. The time control is 90 minutes for the first 40 moves followed by 30 minutes for the rest of the game with an addition of 30 seconds per move starting from move one. The games shall be played with electronic clocks. Pairings will be made by Swiss Manager Program. Players from the same federation with more than 50% score shall not be paired together in the last round. Wei Yi scored one of the biggest wins of his individual career by winning the Asian Continental Championship in Makati, Philippines. Padmini Rout won the women's. Watch the games of the 17th Asian Continental Chess Championship (Open and Women's Championships) with computer analysis LIVE on ChessBomb. 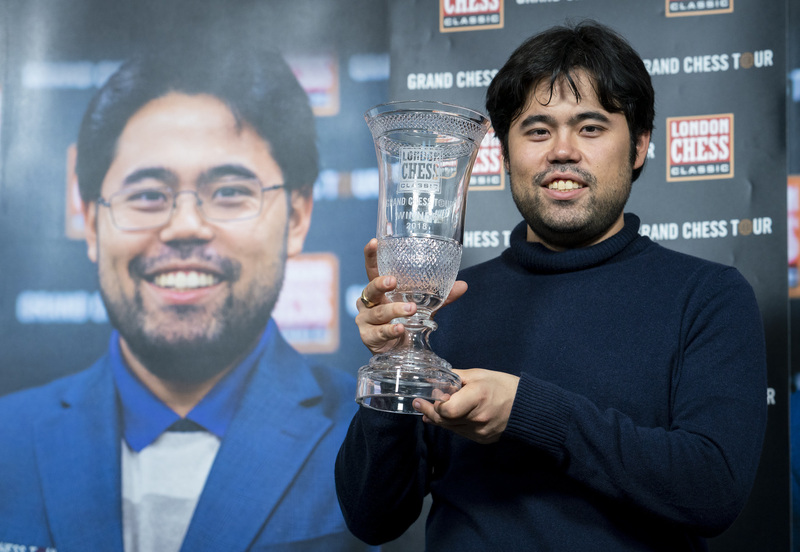 Hikaru Nakamura won his first Grand Chess Tour with a clutch victory in the last round over Maxime Vachier-Lagrave. The newly crowned champion earned an additional $120,000 for his efforts, bringing his winnings to a total of $225,000. Maxime Vachier-Lagrave finished second for the second year in the row, picking up a total of $160,000. 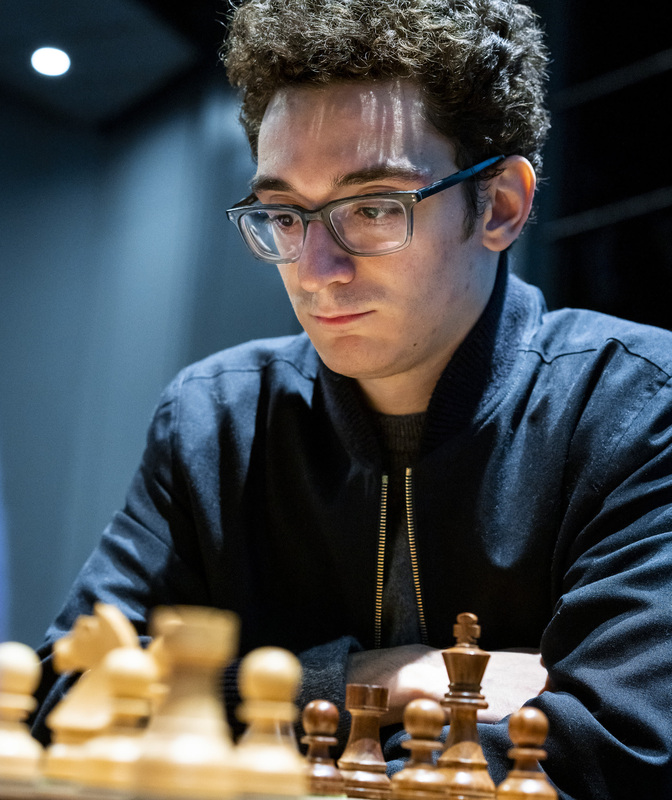 Fabiano Caruana defeated Levon Aronian earning the last automatic qualification spot to the 2019 Grand Chess Tour, along with Nakamura and Vachier-Lagrave. 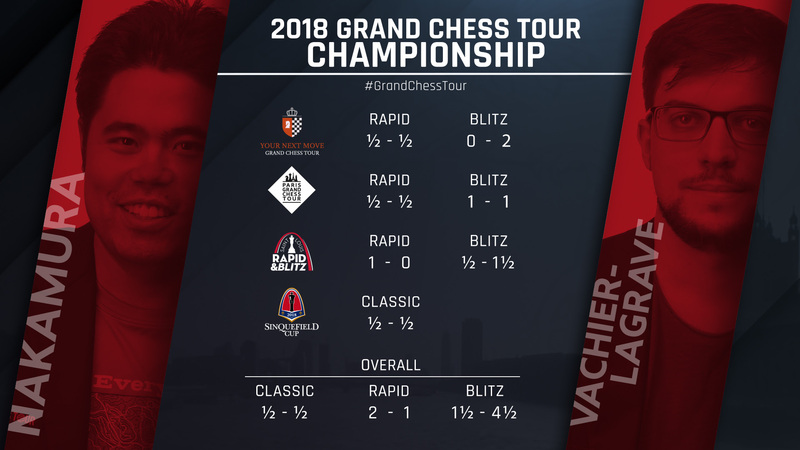 In addition, the Grand Chess Tour made the announcement of the plans of expanding the tour, adding a new classical event in Croatia and two more rapid and blitz events in India and Ivory Coast. The prize fund will be increased to at least $1.5 million, a significant raise from this year’s prize pool of $1,050,000. “My strength this season has been rapid and blitz” - Hikaru Nakamura explained to commentator Alejandro Ramirez after his game. The showdown between the two superstars was a nailbiter that came down to the final blitz game. After drawing the first two rapid games, neither player was able to claim a victory in the next three blitz games. Nakamura was able to find an idea before the last blitz game and delivered the final blow, finishing his opponent off in 29 moves with a beautiful tactical sequence. With this win, Nakamura also crossed the 2900 mark on the live blitz rating list. The battle for third place was heated with seven decisive games and only one draw. After drawing the first game, Caruana won the next rapid game, giving himself a four point lead. 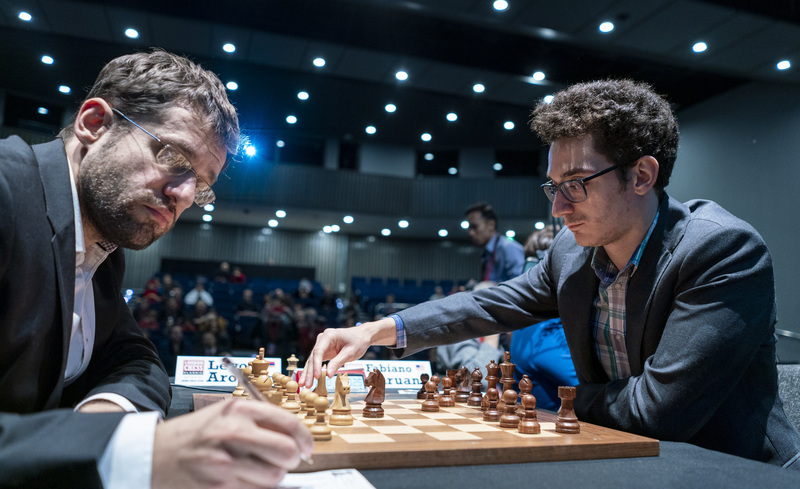 Aronian evened the score by winning the next two blitz games, leaving his opponent demoralized. The American made a quick recovery winning the next two games and thus the match. Caruana did not feel proud of his third place finish but expressed that winning against Aronian is always an accomplishment and offered his congratulations to the deserved winner. 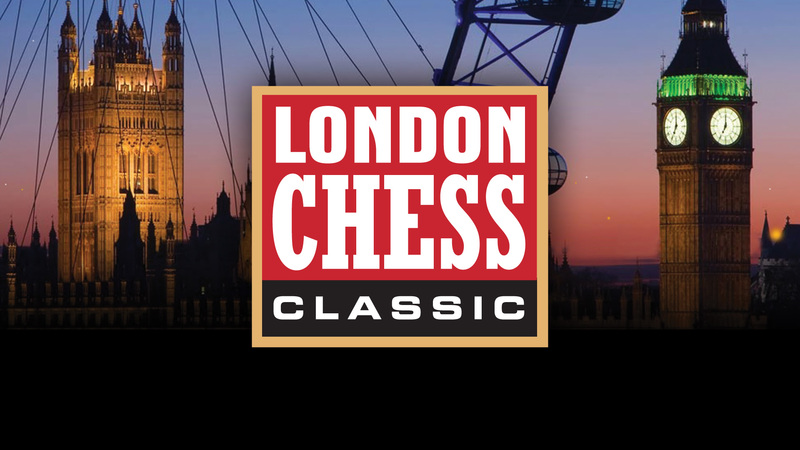 The London Chess Classic is the final stage of the Grand Chess Tour held in London from 11th to 17th of December 2018, with a rest day on December 14.
on https://www.chess.com/events/2018-london-chess-classic via Chess.com with commentary by GMs Yasser Seirawan, Cristian Chirila, Alejandro Ramirez and WGM Jennifer Shahade. LONDON (December 17, 2018) – Gawain Jones on Monday ensured his victory in the British Knockout Championship with 2 Rapid wins over fellow English GM Luke McShane, taking him to an insurmountable 17-3 lead without any need for points in the Blitz portion of the match. In the first Rapid game, McShane – desperately needing a win to get back in contention, played an unsound knight sacrifice in the hopes of levering open the kingside. Jones refuted the sacrifice, wrapping up efficiently, and despite some nervy play in the second game, only once looked in danger when McShane could have tried to mix it up by opening files against the king. The remainder of the games were played out in exhibition style, even though the match was decided, as per the tournament rules. The final score, after all 8 games, was 21-7. In the Third Place Playoff match, Mickey Adams eventually triumphed 16-12, winning the second Rapid game and the last two Blitz games. The fact that the match was in doubt until the last Blitz game underscored that Adams appeared to be struggling to find his best form. The British Knockout was run alongside the London Chess Classic, the final leg of the Grand Chess Tour, and provided welcome excitement during some of the Classical GCT games, where high-level endgame technique and subtle defensive resources led to drawn games without many thrills and spills for the average chess fan to appreciate. Jones takes home a first prize of £15,000 and McShane, as runner-up, wins £10,000. Adams received £6,000 for his third-place finish, and Howell picked up £4,000 for fourth. 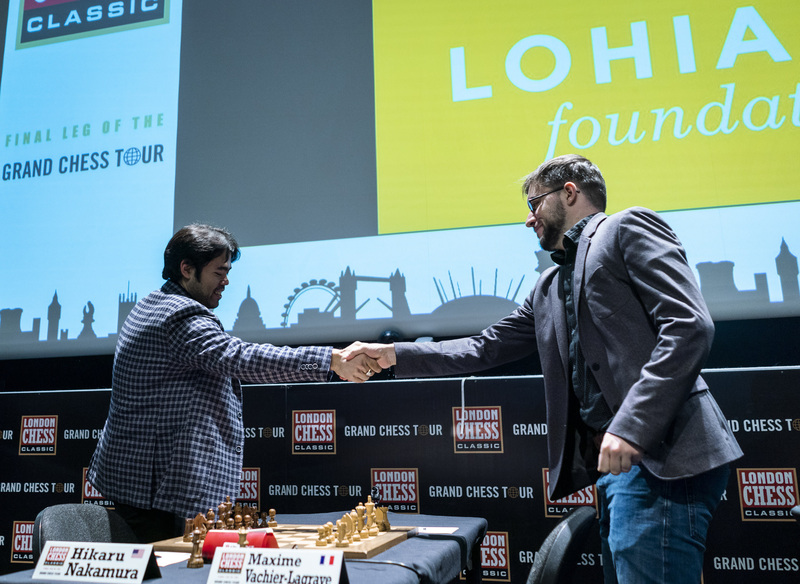 The London Chess Classic is the final leg of the 2018 Grand Chess Tour. It is the flagship event of Chess in Schools and Communities and includes a range of amateur and age-grade competitions for 1,000s of children from the charity initiative nationwide. After another peaceful day in London, the rapid and blitz portion will determine who will be crowned as the new Grand Chess Tour winner. Hikaru Nakamura and Maxime Vachier-Lagrave will battle it out tomorrow for all the marbles, and as neither player has won the series before, we’ll have a new champion crowned on Monday. The winner will also take home $120,000. 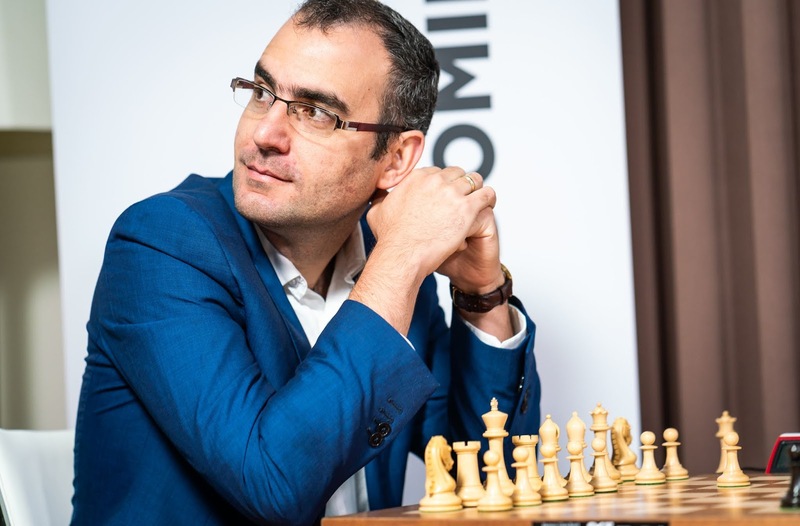 As the top three players are automatically seeded into the 2019 Grand Chess Tour, the winner of the Fabiano Caruana-Levon Aronian match will determine the third qualifier. 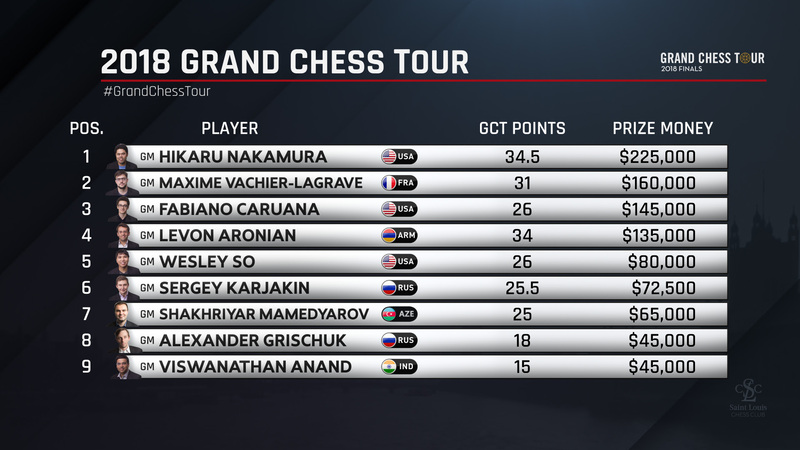 Tomorrow, the 2018 Grand Chess Tour will be officially concluded. The players entered a theoretical battle in the Berlin- one of the most popular openings at the elite level. Nakamura was not familiar with his opponent’s 18th move and had some serious problems to solve over the board. He showed very creative defensive skills to draw the game which were praised by the commentators, who believed the game would be featured in instructional endgame books. Vachier-Lagrave expressed regret and disappointment for playing too quickly at the critical moment and missing a key resource, which happened to be the same thing that Aronian did against him in the same opening during the semi-finals (can i make this sound better). Still, one cannot accuse him of not giving his all, as a draw was agreed upon only when only kings were left on the board. This game ended in a quick draw in less than an hour. Levon Aronian did not seem to try too hard with the white pieces, and was comfortable entering the rapid and blitz portion with the score tied. When asked, he admitted that he’s not one to make a quick draw with the white pieces normally. As a practical player, however, he liked his chances in the faster time controls where he outrates his opponent significantly. On the other hand, Caruana did not feel as though this is a tactic his opponents use, even though he has suffered two major losses in rapid and blitz in London alone.